Made of smooth polyester, fully lined. 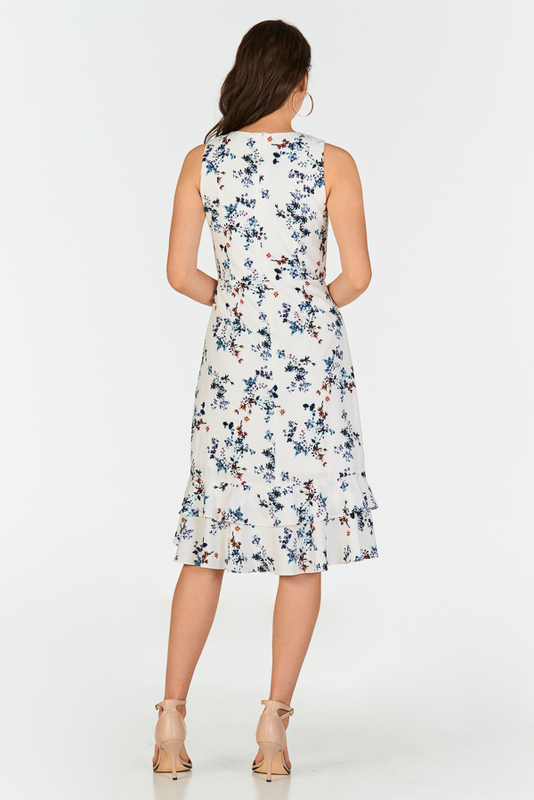 Features floral prints all round on a white base, with layered ruffles and an asymmetrical dropwaist hemline. Complete with a back zip closure. Print is available in other designs here. 39.5" 39.5" 40" 40.5" 41" 41.5"